Qualification: Matriculation or 10th class pass from a recognized Board/University. Age: Between 18 to 23 years as on 1st Aug; 2018. Relaxation as per Govt. orders. to Central Government Employees from time to time under the rule. 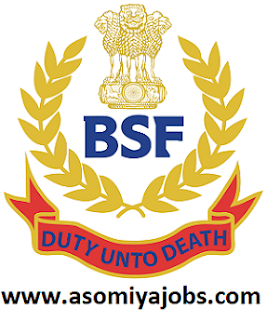 to “The Commandant, 95 Bn BSF, Bhondsi, Post Office- Bhondsi, District- Gurugram, Haryana- 122102” within 30 days from the publication of this advertisement in Employment News super scribing on the envelope “APPLICATION FOR THE RECRUITMENT OF SPORTSPERSON CT(GD) MALE IN BSF AGAINST SPORTS QUOTA-2018” along with the required documents. However, candidate belonging-to far flung areas of States of NE Region, Ladakh division of J&K, Sikkim, Pangi Sub-Division of Chamba district, Lahaul &Spiti district of Himachal Pradesh, A&N Island, Lakshdweep can submit their application up to 45 days from the publication of this advertisement in employment news.